Optimism was in the air after the joint announcement of a new trade agreement reached between Mexico and the US. 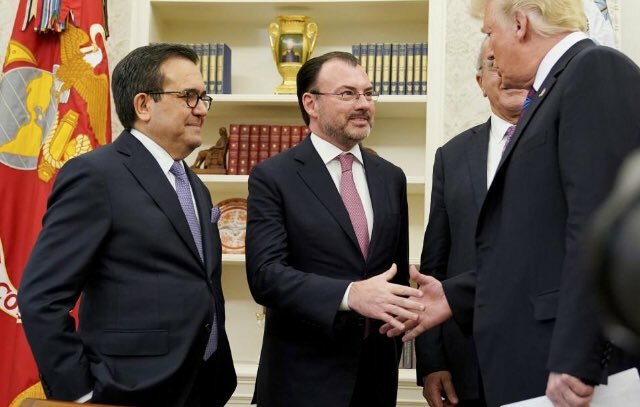 An agreement where both the US and Mexico yielded some of their most contested demands offers hope that a new regional trade agreement can be finally closed. The next step is for Canada to take part in the deal, which several associations, authorities and companies believe could happen over the next few weeks. The new rules of origin in the United States-Mexico Trade Agreement require a 75 percent of regional content and 40 percent of it must be procured in high-salary regions for a vehicle not to be levied import tariffs. The new conditions will prove challenging for the Mexican industry considering that NAFTA restrictions currently require only 62.5 percent of regional content and the countries salaries are still up to five times lower than Canada or the US. The agreement is planned to be enforced in 2019 and considers four years for companies to adapt to these new standards. To learn more about what this new agreement will mean for the industry, please check out Mexico Automotive Review’s analysis here. As we approach Mexico Automotive Summit on Sept. 12, 2018, check out this excerpt from our interview with Jorge Martínez, Director General of 100-percent Mexican OEM Zacua where he tells us about the company’s plans to market Mexico-made electric vehicles. The road ahead is clear. Check out what’s new in the automotive industry. United States-Mexico Trade Agreement: Door to a New NAFTA? President Enrique Peña Nieto and US President Donald Trump reached an agreement after one year and 11 days of negotiations. Trump underlined that it will be called United States-Mexico Trade Agreement but Peña Nieto underlined the importance of including Canada in the deal. AMIA pointed out that Canada’s role in the agreement is important to keep the current production volumes and boost regional integration and competitiveness. Trabajos de renegociación del Tratado de Libre Comercio de América del Norte, en Washington D.C. by Secretaría de Relaciones Exteriores. The European automotive industry celebrates the United States-Mexico agreement. Automotive companies in Europe enjoyed a hike in share value after the announcement. 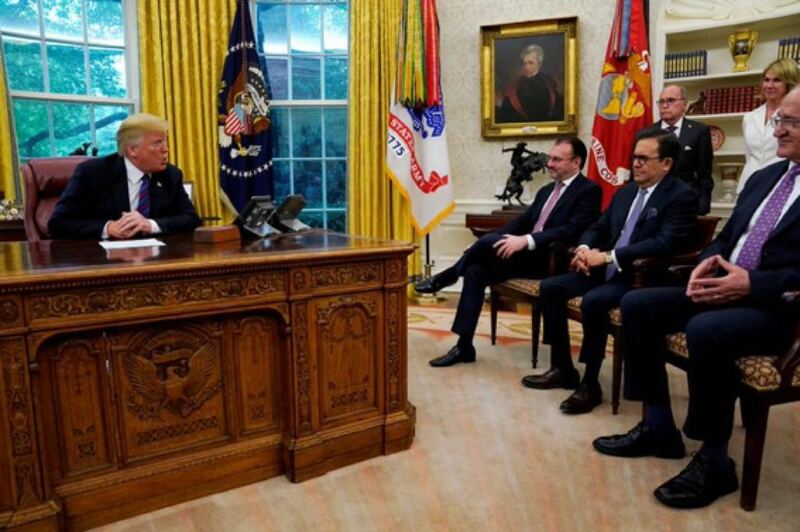 The US Secretary of the Treasure Steve Mnuchin believes that an agreement with Canada could be reached by Friday now that negotiations between Mexico and the US have come to fruition. Mexico and the US agree on a 75 percent regional content for the automotive industry that will be reached by 2023. According to Minister of Economy Ildefonso Guajardo, Mexico’s automotive exports will be able to meet the rules of origin established in the new trade agreement. High-salary regions will not bloom overnight after the United States-Mexico agreement, according to Coparmex. The association’s National President Gustavo de Hoyos says Mexico will not immediately have areas that can pay workers salaries of US$16 and above per hour. United States-Mexico trade agreement opens opportunities for the Queretaro Automotive Cluster since most automotive companies in the state offer a regional content of 62 to 66 percent. German automotive supplier Robert Bosch will invest US$120 million in a new manufacturing plant in Guanajuato creating 1,200 jobs. Yanfeng will produce in Queretaro the dashboards for the Mercedes-Benz A200s assembled in Aguascalientes. The Chinese company also plans to produce the four doors of the vehicle to be assembled by BMW in San Luis Potosi. Nemak plans to raise its projections for 2018 thanks to solid sales in 3Q18. Output could increase 10 percent and forecasts for EBITDA, capital expenditures and profits could increase. Austria’s Voestalpine Rotec opens a new manufacturing facility in Zacatecas focused on metallic components for the automotive industry. FCA and Volkswagen recall over 122,000 in Mexico due to possible defects in cruise control systems and seats in several models. Kia Motors de México reaches production milestone of 500,000 units assembled at Pesqueria, Nuevo Leon. Tesla’s stock value fell 5 percent after plans to be delisted from the stock exchanges and become privately owned were cancelled. Toyota Motor Corporation plans to invest US$500 million in Uber to develop technology for self-driving vehicles. Japanese taxi company Hinomaru Kotsu successfully completes first trip of a self-driven, manned vehicle.